I used to be not too crazy about ice cream, especially chocolate ice cream, until I was introduced to dark chocolate ice cream...and then it just went downhill from there. 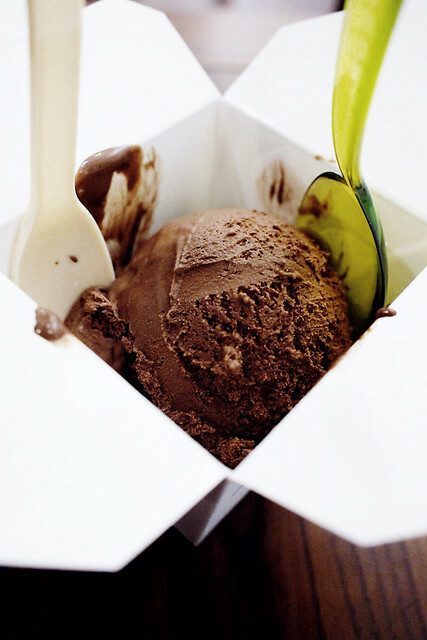 I can't get enough dark chocolate ice cream! 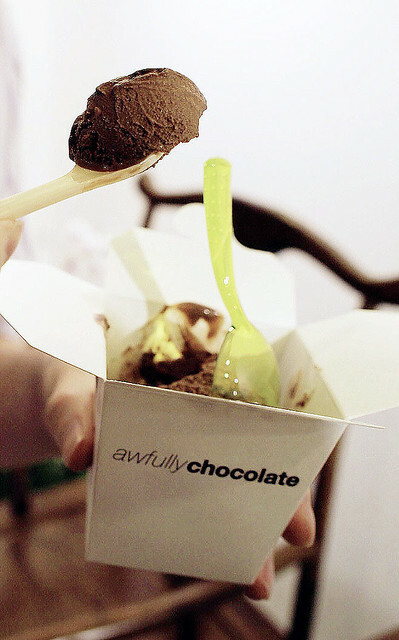 Luckily, there are many ice cream outlets in Hong Kong selling dark chocolate ice cream/sherbet/sorbet...and recently (just yesterday), I tried the one from Awfully Chocolate. ...an awfully generous serving for HK$28...in an awfully cute Chinese takeout box packaging with a couple of clever spoons to get every single bit of ice cream out of the corners of the box. 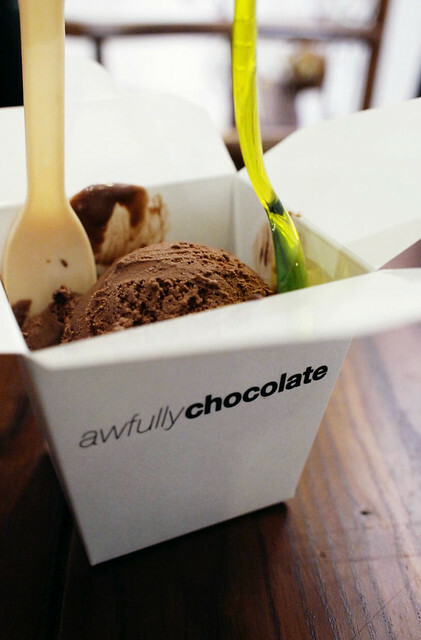 My new favorite dark chocolate ice cream, can't wait to try their cakes. Golly! 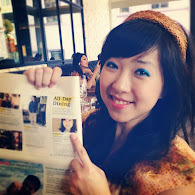 All your postings on the delicious goodies found in HK makes me want to fly there! Hope to make it there one day and I'm going to try all that you've mentioned. Haha .. I guess you are paying for the "awfully" part. I have yet to try their ice-cream and cakes but have heard that both are "awfully" good. Despite having two spoons, I hope you didn't share that tiny scoop of goodness, I WOULDN'T! 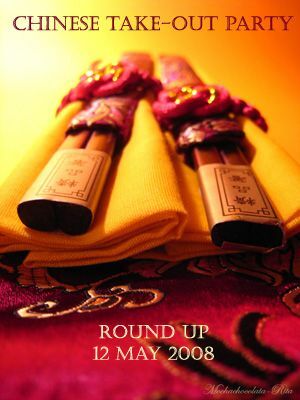 So many times I have been around Langham Place and haven´t tried this shop. A must in my to do list, hehe. I am now immediately going to start googling their central locations. Tx!